Orbea and Team Cofidis joined forces in 2015.The team led by captain Yvon Sanquer was a perfect fit for three reasons: its long-standing tradition in the peloton (a true classic, competing since 1997), the fighting spirit that it showed on the road and the drive to evolve, which were just what we were looking for to develop and and back our products in the top cycling competitions. The sync we experienced with the technical staff, the team of mechanics and the riders of Team Cofidis allowed us to make greater headway in other categories of road bikes in which we wanted to be present, beyond the climbing models we’ve been internationally known for since our time alongside Euskaltel-Euskadi. During these three seasons of mutual learning, we have developed our best ranges of road bikes, something that would not have been possible without the trust and capacity for teamwork that has generated between Team Cofidis and Orbea’s Product Innovation team. The 2015 Orca OMR was the first product of the relationship between Orbea and Team Cofidis. Work began on the bike in 2014 and in this machine, Orbea managed to achieve all three of its design objectives: light weight, rigidity and performance. With a weight of 900 grams in size 53, the 2015 Orca OMR was 20% lighter than its previous version, thanks to top quality carbon fiber in its construction. 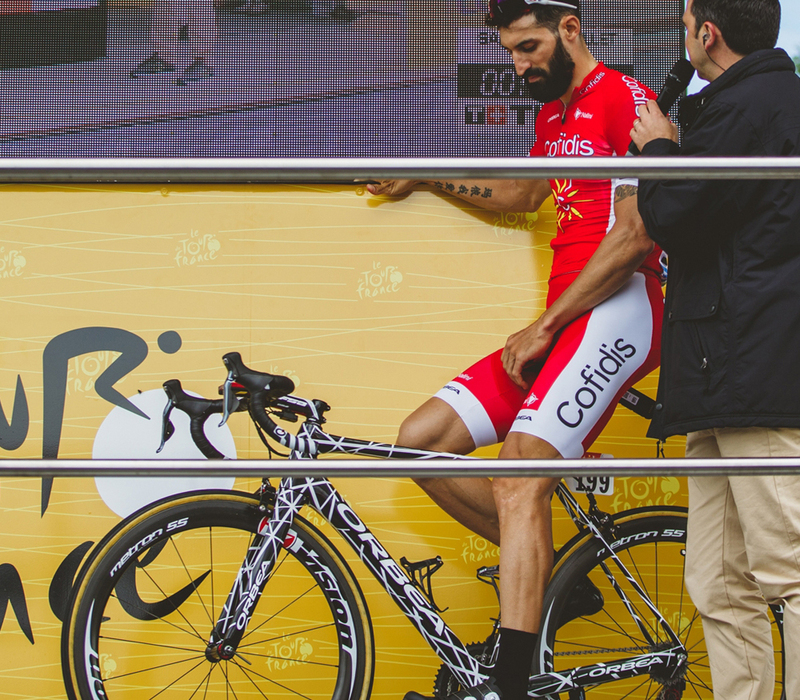 The explosiveness of Nacer Bouhanni demanded a more rigid bicycle for improved watt transmission: the new frame structure, with improved sloping and a longer bottom tube and chainstays resulted in a bicycle with 24% greater lateral stiffness. Work was done on this bicycle while keeping in mind the possibility that disc brakes might be introduced in competition, and the Team Cofidis riders got to try out both versions. After 18 months of work alongside Team Cofidis, including the tests performed at the Valencia velodrome, in 2016 we launched a new version of Orca OMR, with a frame that was 92 grams lighter than its predecessor. The Orca’s racing geometry was also revamped to give the rider an even more aggressive and aerodynamic position on the bike. Among the improvements was the new Freeflow fork, which became broader to eliminate turbulence caused by the front wheel as it turned at a high rate of speed. The front rigidity of the fork was also improved by 20%, and the lateral rigidity by 26%. Geoffrey Soupe was given the job of premiering the new Orca in the Tour de France that year, with a Spy graphic that got the attention of the entire peloton. 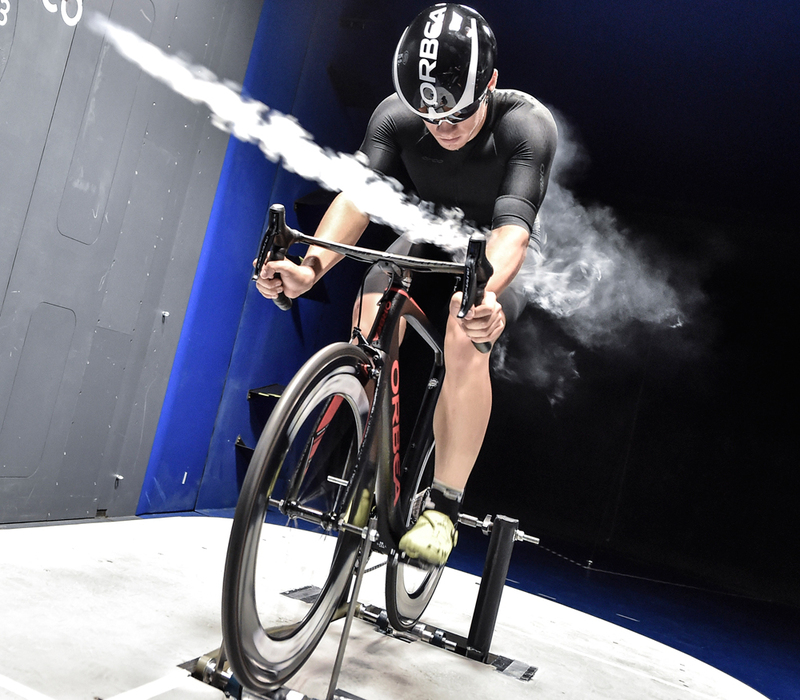 In 2017, and with the knowledge accumulated after nearly three years working together with the riders and sprinters of Cofidis, Orbea launched its most aerodynamic bicycle: the Orca Aero is the first bicycle to fully take advantage of the suppression of the UCI 3:1 ratio rule for bike design, as was acknowledged in its reviews by the specialized media around the world. 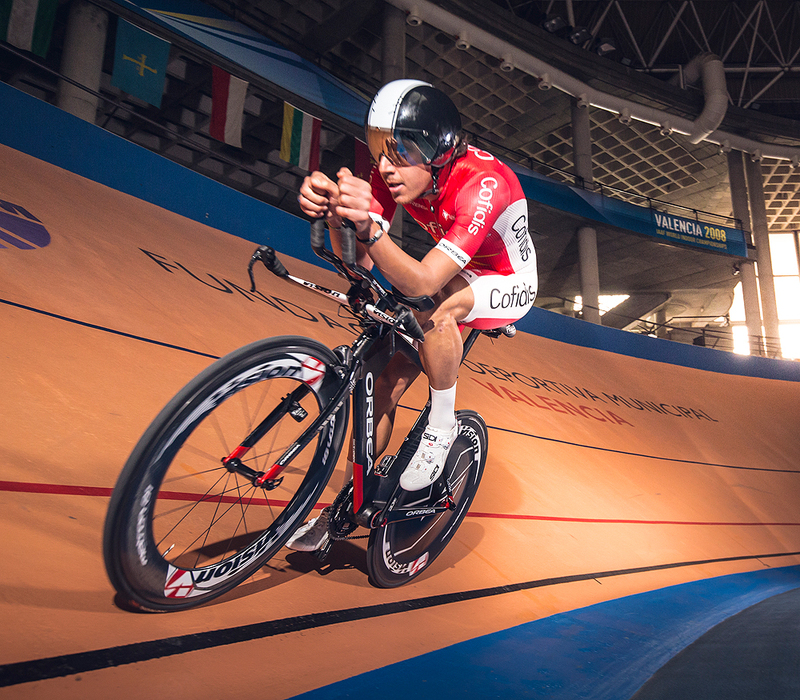 The aerodynamic design tested by the Team Cofidis riders resulted in an Orca that is 90 seconds faster over 50 km, as confirmed in the Milan wind tunnel. The model was launched during the Tour de France and became the favorite of the team for flat stages and those that were expected to be decided by a sprint. 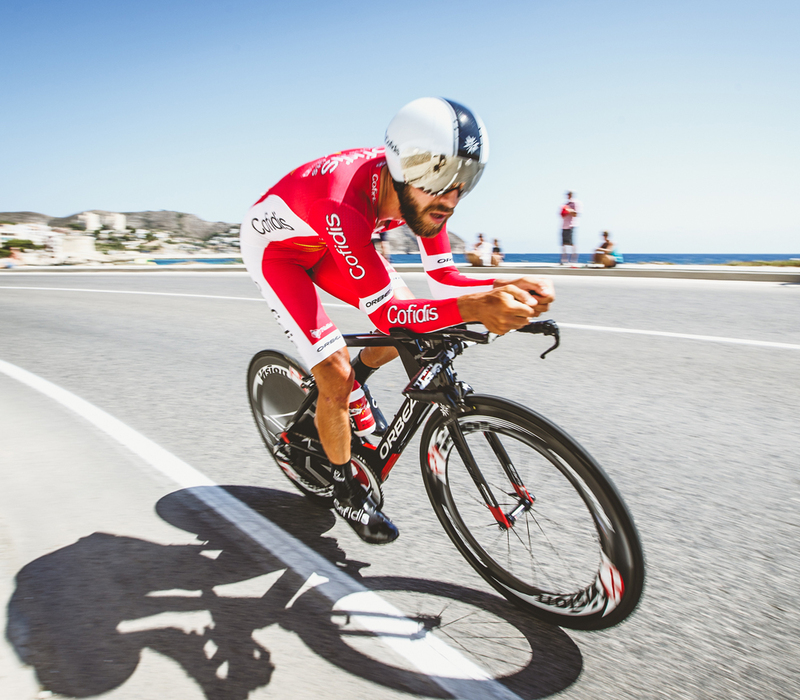 The Ordu OMR is the product of the collaboration of many experts in aerodynamics: the riders of Team Cofidis, who used it for the first time in the time trials of the 2015 Tour, our triathletes, Orbea’s product-innovation team and the University of Mondragón. Thanks to this work of putting numbers to the sensations felt by cyclists suggested improvements in aerodynamics, such as the Freeflowfork and the exclusive shape of the Ordu’s tubes. These improvements, thanks to the legs of Andrew Starykowicz, have made it the la fastest bicycle in the history of the Ironman. In the winter, Team Cofidis riders like Hugo Hofstetter, Cyril Lemoine and Clément Venturini take part in cyclo-cross races as part of their preparation for the road season. They asked us for a bicycle that would allow them to be competitive in this discipline, and in 2017 they were able to try out and train with our new Terra: a very versatile model that is right at home on tracks, gravel, trails, mud, cyclo-cross, etc. And thanks to its all-road geometry, it also lets you ride comfortably during your long road training sessions. Clément Venturini is the current French cyclo-cross champion. Over these three years, the customization of the bicycles through the MyO program has been what has set Orbea apart from the rest. Thanks to this capacity, each rider on Team Cofidis has been able to configure his bicycle exactly how he wanted it, in terms of components. On this journey, we have worked hand in hand with FSA-Vision, Prologo and Kenda, to whom we owe a debt of gratitude for their involvement in the development of the wheels, handlebars, etc. that have contributed to improving the performance of our bicycles. 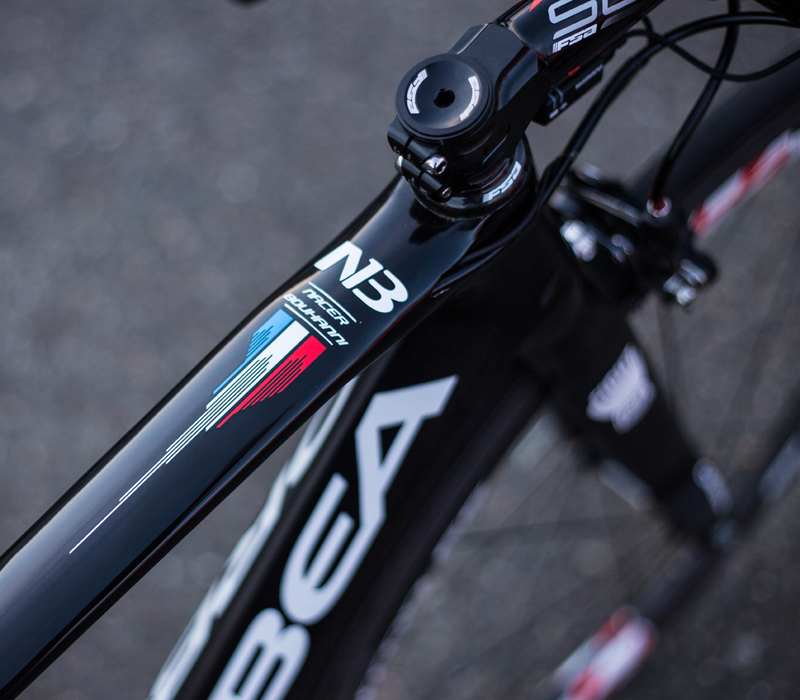 The unique advantage provided by Orbea extends to the appearance of the bikes, as reflected by custom graphics in different colors and including the names of each rider. One of the first projects we undertook along with Team Cofidis was the creation of a helmet that brought together concepts that, back then, seemed impossible to join in a single product: Volume, lightness, ventilation and aerodynamics. Thanks to the contributions and feedback from the Team Cofidis cyclists, we were able to produce a helmet as versatile as the R10, which added innovations such as its characteristic cover, which makes it more aerodynamic and protects the cyclist on rainy days. This is not just a slogan that has accompanied us at the world’s most demanding competitions and the nearly 40 victories that we have earned together in races as prestigious as the Critérium du Dauphiné, Paris-Nice and the Volta a Catalunya. #RideFightWin encompasses a way of experiencing cycling at Orbea: from our first turns of the pedal together, it has been effort and the willingness to work hard together that has brought us victory: the victory is the road traveled, the products we have developed together, having tackled the world’s best cycling competitions and, above all, that this journey has led to the best bicycles that we have made available to our riders and customers. Merci, Team Cofidis! We wish you the best of luck in the future. Orbea, which for more than 80 years has put its bicycles to the test in the world’s most demanding races, will continue to do so next season, along with four teams that will race with us in top level competitions. We will also continue to support projects with young, up-and-coming male and female cyclists, in which we are very proud to participate. We will soon reveal more details about our projects for 2018.